I was in attendance last night for the Rangers and Penguins battle and I was very interested to see how this game would compare to the debacle in Pittsburgh. You know, the one where the Rangers had to overcome horrible officiating to grind out a 3-2 OT victory. This one didn’t quite have the shenanigans as the previous meeting (although I believe Sidney Crosby got away with 2 slewfoots, just saying). The Rangers lost this one by a score of 3-1. It all came down to one period of hockey and that was the 2nd period. 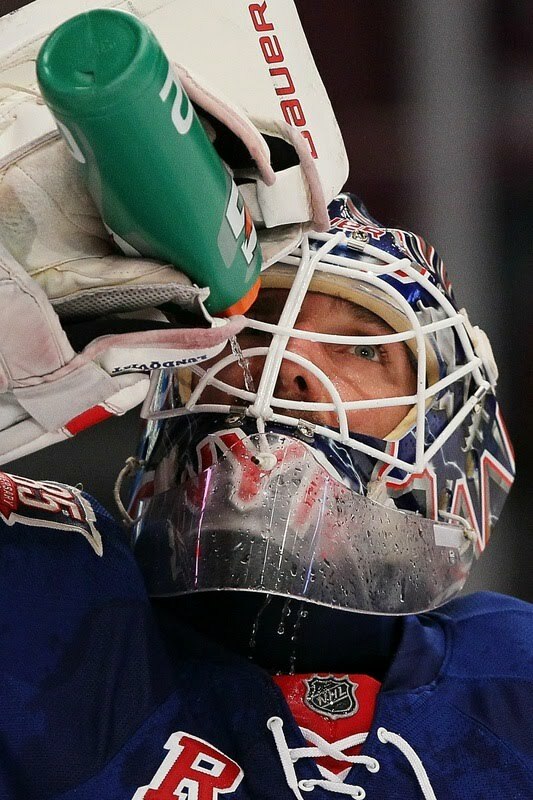 The Penguins outplayed and outscored the Rangers by a 2-1 margin and it could have been more if not for Henrik Lundqvist. There were way too many odd man rushes given up by the Rangers. 2 on 1’s, 3 on 2’s, you name it. I think I counted at least five 2 on 1’s. It’s one thing to be aggressive, but it’s another to be smart about the situation. 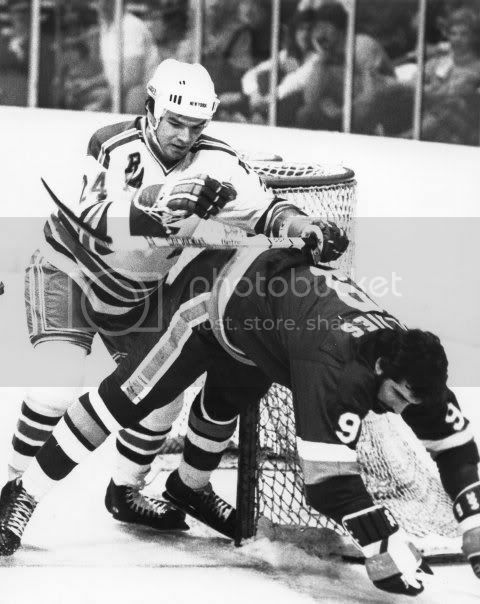 Pittsburgh took advantage of the Rangers aggressiveness and put the game away when Chris Conner made it a 3-0 game. Gaborik did answer with a goal late in the 2nd and the Rangers tried valiantly in the 3rd to rally but to no avail. The game did have a couple of spirited scraps. First, Brandon Prust and Mike Rupp. Prust was giving away many pounds and inches to a super heavy weight in Mike Rupp. I think Rupp was surprised at how tough Prust is as it was probably scored as a draw. 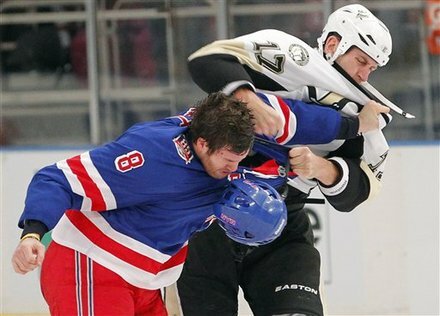 The 2nd bout was Sean Avery trying to rile up the Garden and his troops immediately after the Penguins made it 3-0. His dancing partner was Tyler Kennedy (Tyler, please take off your helmet if you wear a shield) and I’ll give Avery the unanimous decision on that one. The Rangers are 4-3 in their last 7 games. Now it’s off to take on the struggling New York Islanders for a home and home series starting Thursday in Long Island (then back at MSG on Friday). Got to get ready for these two games. The Islanders may be down but they will be a perfect trap game (or games) for the Rangers. The Blueshirts will have to knuckle down and get back to outworking their opponent. If they, do they will be just fine! Let me know what your thoughts are on this. Over and out! 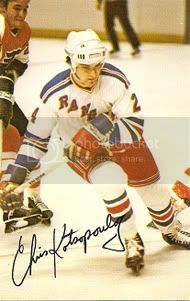 Last nights 3-2 loss to the Bruins has still proven, to me at least, that the Rangers need to be more dominant at home. I know I sound like a broken record but to be a serious contender this problem has to be fixed. 4-6-1 just isn't gonna cut it! On the positive side- How about that unbelievable comeback in Pittsburgh? The Penguins had everything going their way- the referees, the NHL, and late goals. Basically the kitchen sink was thrown at the boys in blue. 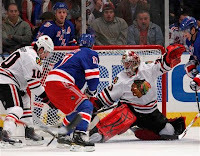 However, the Rangers persevered and stuck it in the you-know-what of the Pens, the NHL and the Refs! Good job! The Rangers go on the road for four of the next five games. These five games will be very important as to the state of the Rangers. Precious points in what is a very even division with lots of parity in the eastern conference! Can there be anyone but Ryan Callahan next in line for being the next captain of the New York Rangers? Callahan does it all: hits, contributes offensively, kills penalties, plays in key situations, and oh yeah- drops the mitts once in a while (witness the decision over Mike Comrie). He gets my vote for sure! 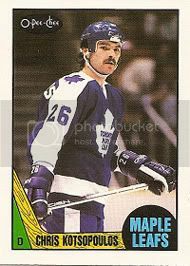 On a very serious note- as most of you know I do a radio show every Tuesday with my co-host Pauly D. This past Tuesday we had on a very special guest in Kurt Walker (former Toronto Maple Leaf). Kurt was very forward about how the NHL Players Association, The NHL, and The NHL Players Alumni do absolutely nothing to help the former players in need of medical and monetary assistance. Trust me when I say as a former player, I know there are many others who are also in this situation. Kurt chronicled his career, what he thought his pension was and what it actually turned out to be. The numerous surgeries he has had to endure from injuries received during his playing days. It is time for the NHL, Players Association, and the Alumni to step up to the plate and take care of their own who sacrificed their bodies and health to help make this great game what it is today… Check out the pod cast of the show to hear more. One last thing- What do you all think about Colin Campbell’s Email-gate? I’ll keep it simple: If Sean Avery can be disciplined for words towards another player- why can’t Campbell receive the same discipline? I’m just saying… Over and Out! Now that the Rangers have passed the ten game mark (11 to be exact), 1/8th of their season is behind them. 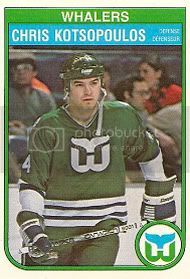 With no Marion Gaborik, Vinny Prospal and Chris Drury the boys in blue have themselves a very nice 6-4-1 record for a total of 13 points. I, for one, feel that it is quite an accomplishment and well deserved. The team has pulled together and picked up the slack. There have been many pleasant surprises so far this season. 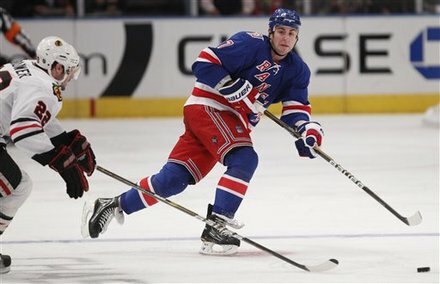 Sean Avery’s play, Brian Boyle, Brandon Prust, Arty Anismov. I could go on and on, but really it comes down to two players: Ryan Callahan and Brandon Dubinsky. What can one say about these two? They have grown into bona fide team leaders who are currently leading the team in all offensive categories. Callahan leads the team in points (4G 9A 13Pts) and Dubinsky in Goals (7G 4A 11Pts). The effort these two are putting out every night is just what the Rangers brass and fans have been waiting for. It’s like it has finally clicked in their minds that they can be the men on the team that you can count on. The “I Can” attitude is there… and you can see it! The maturation process has taken its course with these two players and believe me, they will be better off in the long run. For me personally, I had a short and to the point talk with Brandon Dubinsky at a Ranger golf outing. I looked him straight in the eyes and said- “It’s time isn’t it?”. He looked at me and nodded his head and said- “yes it is”. We both knew what the point of the conversation was- that this was the season to shine… And so far so good. Just one more thing- the growth of Callahan and Dubinsky will rub off on others, and that folks can only be a positive. Next up- The Flyers… YUCK! Please check out the Instigators radio show. 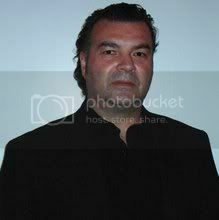 Pauly D and I talk about the state of The Rangers & Hockey every Tuesday at 8:30 on Blog Talk Radio. Over and Out!